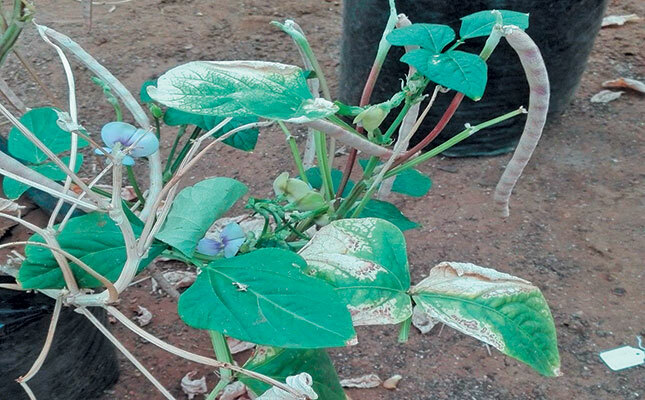 This is one of the most destructive diseases of cowpeas, according to Dr Alina Mofokeng of the Agricultural Research Council’s Grain Crops Institute. A cowpea plant infected by bacterial blight. 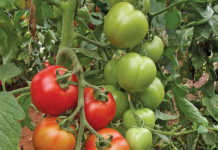 Depending on the cultivar and the plant growth stage during which infection occurs, bacterial blight can reduce yield by up to 92%, and emergence in infected seeds by 67%. Secondary infection can increase plant mortality to 81%. Bacterial blight is caused by the bacterium Xanthomonas axonopodis pv. vignicola, which occurs in humid and moderate subtropical climates where cowpea is produced. In South Africa, bacterial blight is a threat in parts of Limpopo, Mpumalanga and KwaZulu-Natal. This aggressive pathogen is carried on the seeds and can survive in soil, crop residue, and seed, as well as on alternative hosts such as lablab bean, common bean and sunn hemp. Seed and crop residue are the main source of infection, but it is also spread by insects and wind-driven rain. Initial symptoms are tiny, water-soaked dots under the leaf. These vary from pinpoint size to more than 1,25cm in diameter, with a yellow halo. They often expand, join up and develop into large necrotic lesions. The pathogen also invades the stem, causing cracking with brown stripes, and the pods, where they manifest as dark green, water-soaked areas. Infected seeds are discoloured and shrivelled. In a severe infestation, pod development is poor and most of the seeds are shrivelled and unable to germinate. The bacteria can remain viable for nearly 400 days in infected seed and debris at temperatures of 5°C to 10°C, and for 250 days at temperatures between 10°C and 40°C. 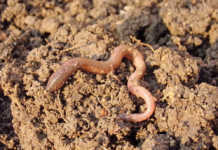 The pathogen can survive in the soil for 260 days at 10°C and 100 days at 40°C. Farmers who plant their own seed from the previous season could suffer a 100% crop loss if the seed is already infected and cool, wet weather conditions prevail. 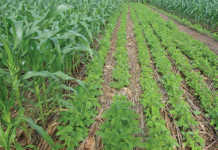 The disease can be managed in several ways: cultural practices, intercropping cowpea with maize or cassava, planting disease-free seed, and timely application of registered chemicals. Cowpea genotypes that are resistant to bacterial blight show good potential. It is crucial, however, to monitor the leaf canopy frequently during pod development for early signs of blight symptoms. This will allow you to take appropriate action in time to prevent yield loss. Phone Dr Alina Mofokeng on 018 299 6398, or email her at [email protected].